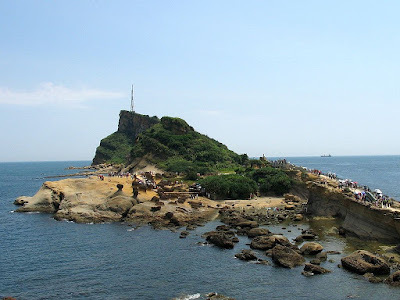 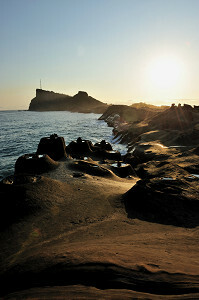 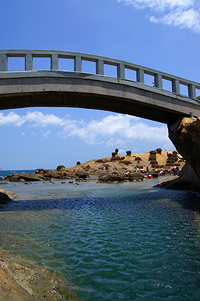 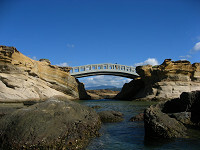 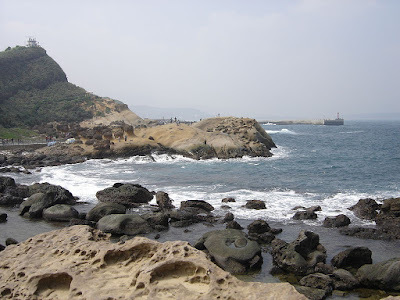 Yehliu is a cape in Wanli District, New Taipei, Taiwan. 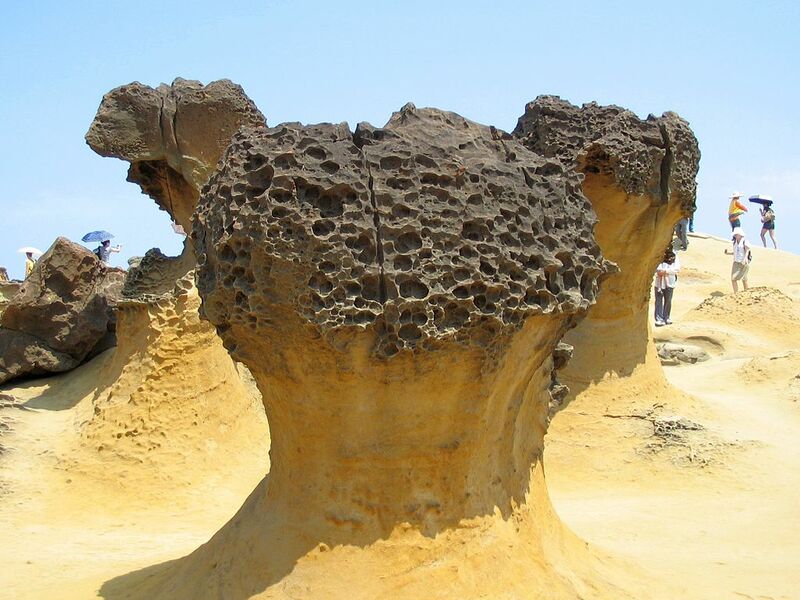 The cape, known by geologists as the Yehliu Promontory, forms part of the Daliao Miocene Formation. It stretches approximately 1,700 metres into the ocean and was formed as geological forces pushed Datun Mountain out of the sea. 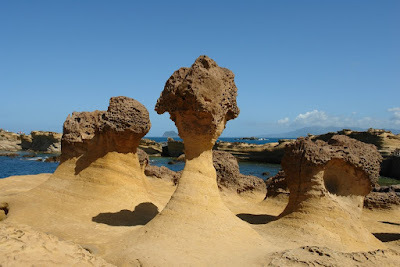 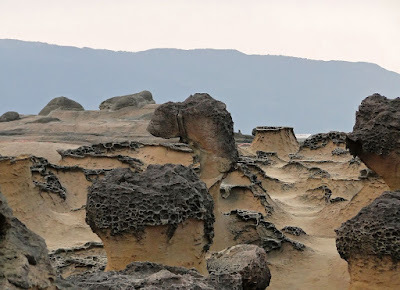 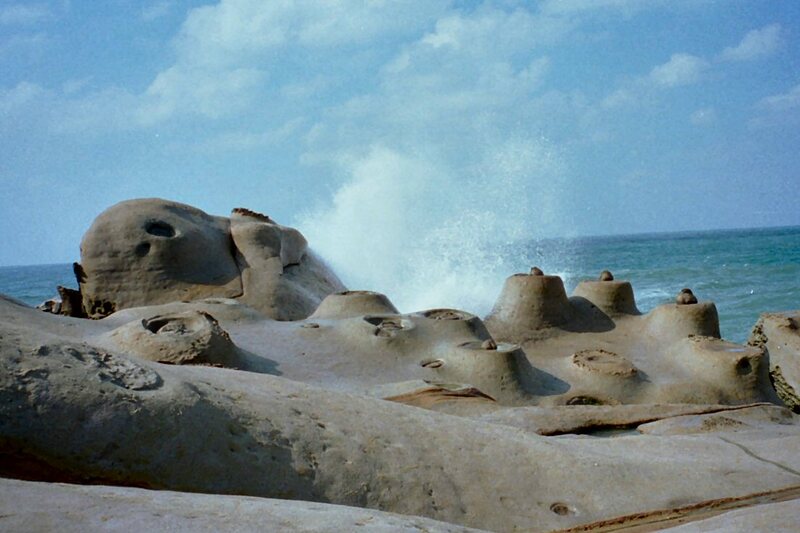 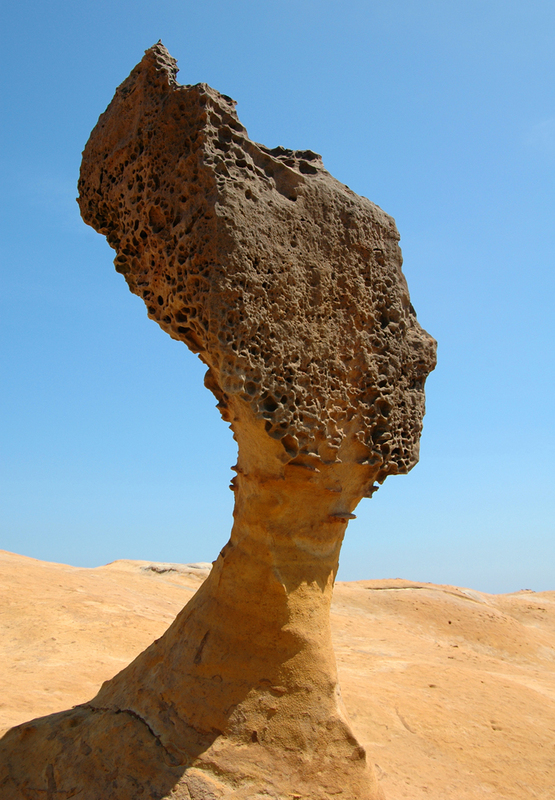 A distinctive feature of the cape is the hoodoo stones that dot its surface. 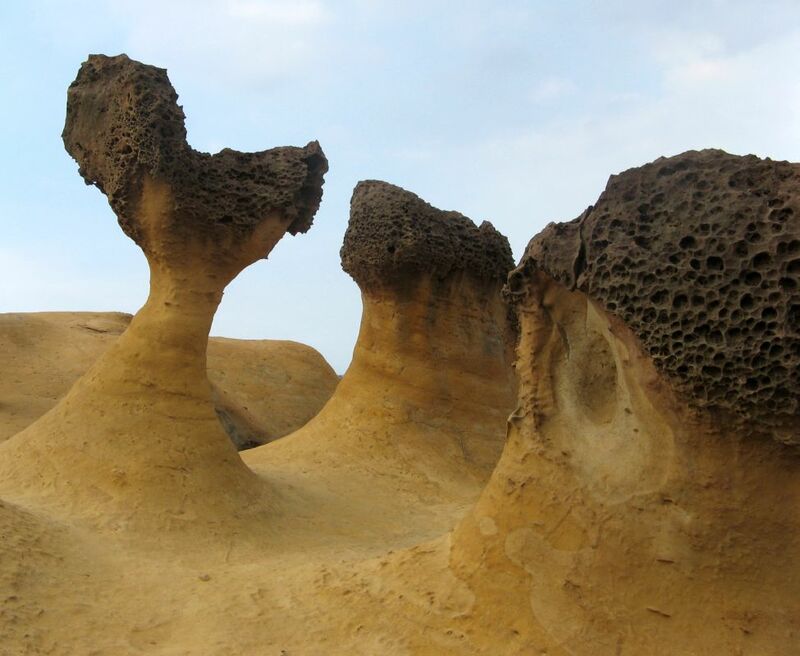 These shapes can be viewed at the Yehliu Geopark operated by the North Coast and Guanyinshan National Scenic Area administration. 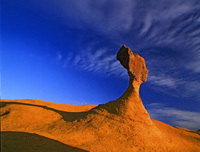 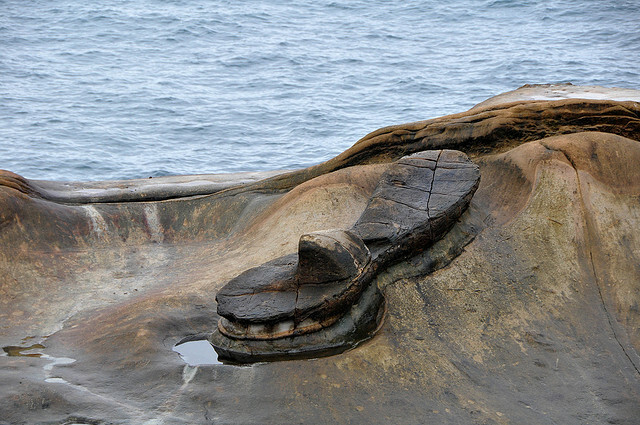 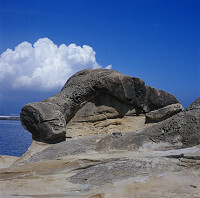 A number of rock formations have been given imaginative names based on their shapes. 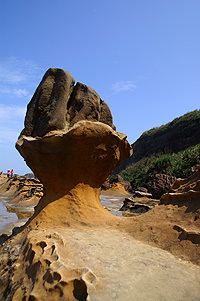 The best known is the “Queen’s Head” (女王頭), an iconic image in Taiwan and an unofficial emblem for the town of Wanli. 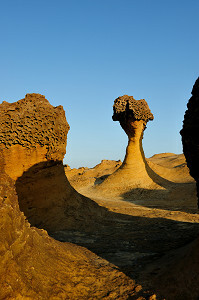 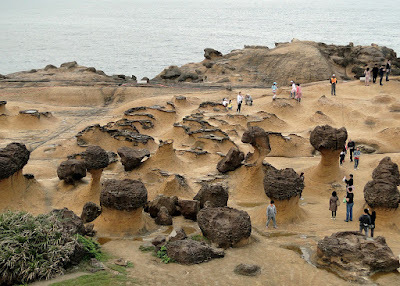 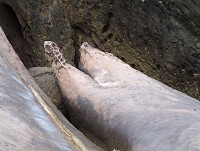 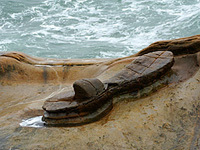 Other formations include the “Fairy Shoe”, the “Beehive”, the “Ginger Rocks”, and the “Sea Candles”. 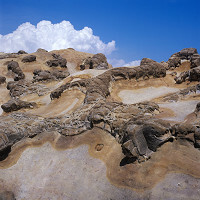 Recommended For You What Is Geology? 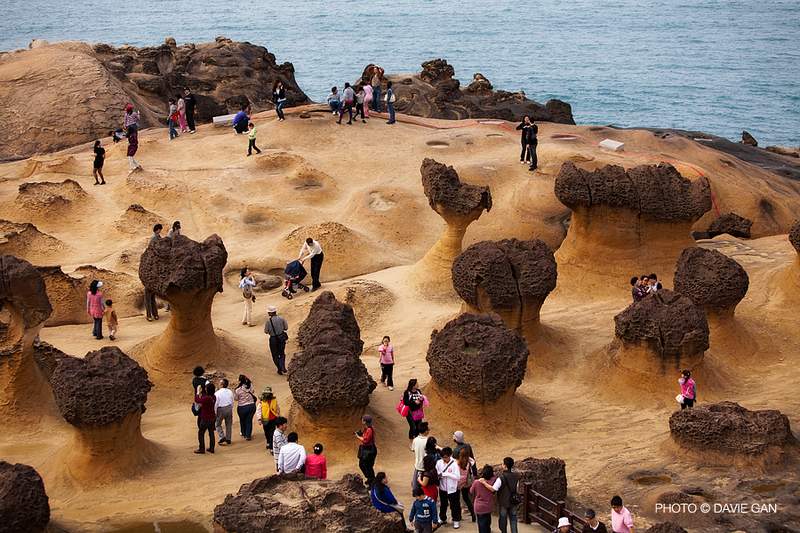 In Yehliu Geopark,you can see many long and tube trace on the ground. These are the caves of creatures which live in the sand before. 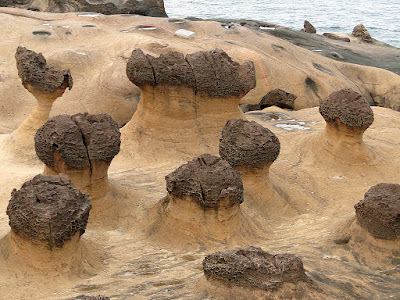 When sediments continuously collected, cemented, and became part of the sedimentary rocks. The trace of early creature lives were reserved in the sedimentary rocks, which’s called “trace fossil”.